Registration is now being accepted for PEAC FIVE K and 1 Mile Fun Run to benefit Special Olympics New Jersey on Thursday, May 9, at 6:30 PM at the PEAC Health and Fitness facility in Ewing, NJ. 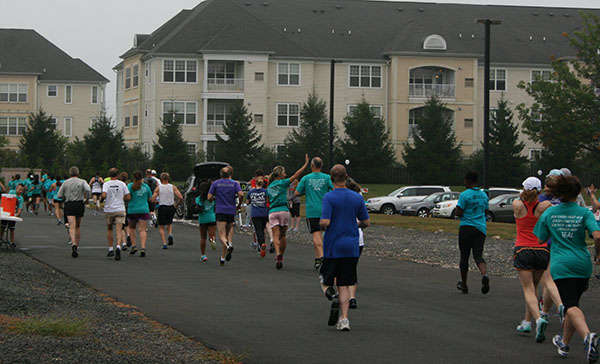 In addition to the 5K, the fun run will be an enjoyable course that serves as an additional opportunity to ensure that all those who would like to support the Special Olympics New Jersey can do so, without having to run a 5K. In addition to the run, there will be Overall Winner and Age group awards, random prizes and Food and Fun for all! The event is open to the public. Pre-Registration for the 5k is $20, and $12 for the Fun Run. For information regarding the event, contact PEAC at (609) 883-2000. Did you know that Special Olympics is New Jersey's largest sports organization for people with intellectual disabilities? And today, when you donate to Special Olympics International, you'll contribute the equipment, attire, and health supplies that can help transform an athlete's life — both in New Jersey, and around the world.